Are you looking for vacation property that is very private but close to the US and in the fabled clear waters of the Caribbean? We have a few properties that we have accumulated and are willing to part with at very competitive prices. We are US Residents that searched the world for property that we could live on for extended vacation periods after retiring. We tried islands in the Pacific, beaches in Mexico, coastlines in Europe, searching all with a rather extensive list of criteria. Nothing fit the bill like the Bahamas and nothing in the Bahamas matched the settings, friendly locals and winter residents like the island of Eleuthera. We started looking in 1999, bought some exclusive beach property on the Atlantic, sold it, bought a home on the Caribbean side built a guest house then acquired some additional land on the Caribbean side. Then came 2008 and we got the Atlantic property back. Then we acquired another lush elevated property with an old house on the Atlantic. Beautiful homes dot the magnificent beach, and it's a perfect place to bring your dog from the US or Canada with only a $10 permit and health certificate. It's just a short flight from Ft Lauderdale or Miami. The picture to the left is the beach in front of the Double Bay lot. This is a typical day where you rarely see another soul. This lot is perfect for your dream home since utilities and a well are already in place. Descriptions of the properties are on the following pages. We live on the island except in the summer and can usually answer any questions you may have. Why are we selling? Since retiring we have taken a new vocation - animal rescue and we are looking to build a property that can house and contain the Royal Bahamian Potcakes (Island Dogs) that we find, rescue, spay/neuter and foster until adoption. We are willing to sell what we have accumulated to make that happen. 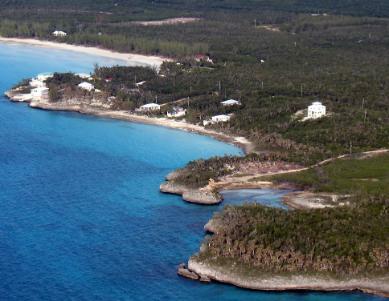 Eleuthera is less than a 1 hour flight from Miami and Ft. Lauderdale. It has many restaurants, banks, grocery and harware stores but only a few boutique hotels and NO CASINOS. It has a large "Winter Resident" population along with many ex-pats that live on the island full time and have made the Bahamas their home. The weather during the winter months is comfortable with temps usually in the 70s. Eleuthera has internet, cell phones, etc. 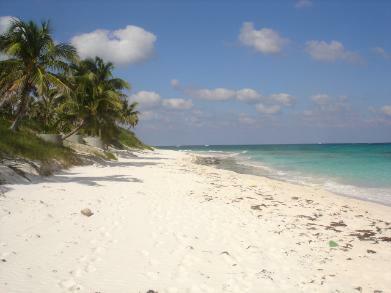 for a comfortable lifestyle without the traffic and crime of other islands in the Bahamas. It is truly an undiscovered jewel. <<Fundraiser for the local Library. One of the many social events held every year on Eleuthera.